The cover art for PDX Magazine Issue No. 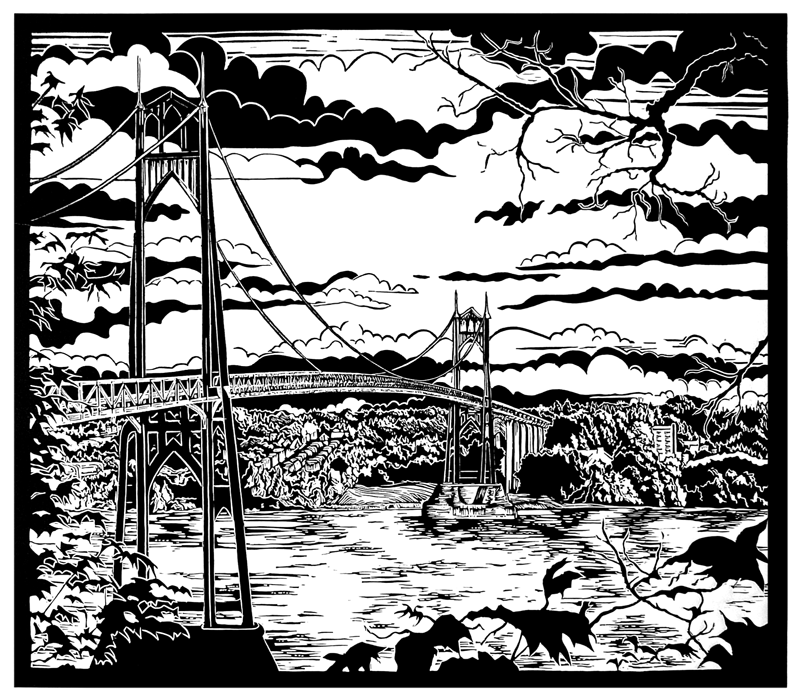 2 is a linocut relief print of the St. Johns Bridge by Portland artist Kelli MacConnell. Kelli’s prints are on display in various places throughout the city. For current information on this artist and to view more of her artwork, visit her website at www.KelliMacConnell.com.